There is a topic that people tend to keep behind closed doors. It's something that everyone does, but yet, we almost never discuss it. Well, it's time to open that door and talk about what goes on in your bathroom. Yes, it may sound strange, but just pretend you're chatting with friends at a pajama party. That's exactly how the conversation started for me. 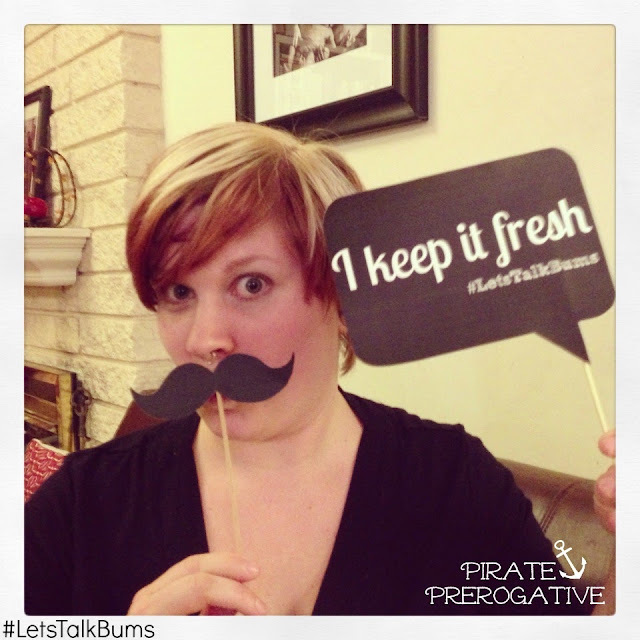 I attended a get together hosted by Danielle of Simmworks Family Blog. She was a wonderful party hostess who shared her food and wine with us all. As we talked and got to know everyone, the conversation turned to our kids, motherhood, and our bathroom habits. It was interesting to hear how our care routines were similar, and where they varied. It was refreshing to be able to talk freely and to learn something we might not have otherwise known. That's why Cottonelle has partnered with Cherry Healey, to get the conversation flowing. We all go to the bathroom, so why not talk about it to make sure you're getting the best possible clean? Still feeling shy? It's okay, I'll start. As a mom, I rarely get a bathroom break to myself. That's why it's so important that I take care of business when I do go. I can't spend forever in the bathroom while The First Mate wreaks havoc throughout the house. Or worse, he starts asking questions about mommy's parts and my menstrual cup. I'm not ready to field those questions just yet, he isn't not even two! My old routine just involved toilet paper. I would fold up some squares wipe, and repeat. Yes, I'm a folder. However, at times I also throw in the other two. In case you weren't aware, there are three types of toilet paper methods. Now that I've discovered the Cottonelle Care Routine, things are not only quicker, but cleaner too. The ridges of Cottonelle are my first step to clean. I still fold and wipe with the TP, but then I follow up with a cleansing cloth. I'm left feeling fresh in a flash. Another bonus to my new found bathroom system is I use less toilet paper. Those rolls can get expensive. I mean, The Captain goes through a roll a day in most cases. He's a clean freak and a germaphobe, The addition of cleansing cloths has helped limit his TP use too. I'll admit, the idea of wipes seemed odd at first. I had mentioned it to The Captain a few times, but he didn't want to feel like a baby wiping his bum. Once he saw the sleek design of the Cottonelle Cleansing Cloths, it was clear that these were not baby wipes. 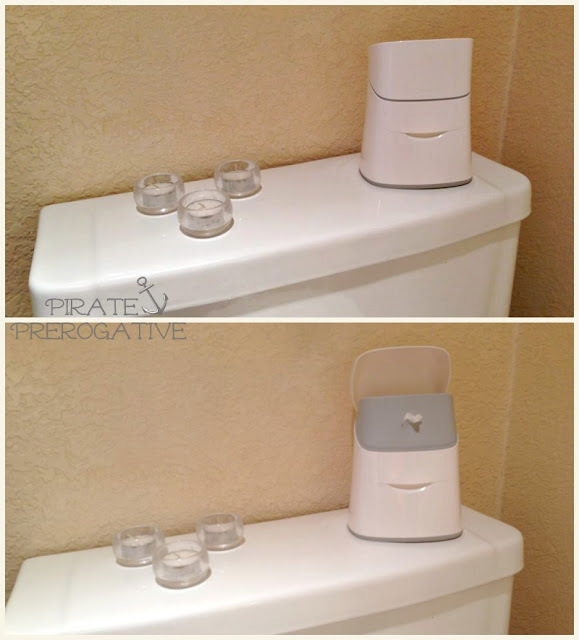 They inconspicuously fit right into any bathroom decor and are easily refillable. Once you experience that ultra clean feeling you are left with, you won't have doubts any longer. They've got their permanent home on the back of our toilet now. 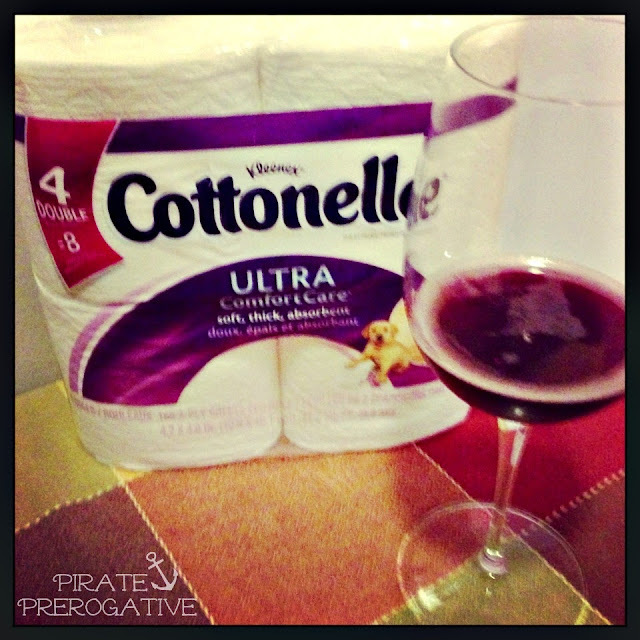 This is a sponsored post written by me on behalf of Cottonelle. All opinions and bathroom TMI is my own. 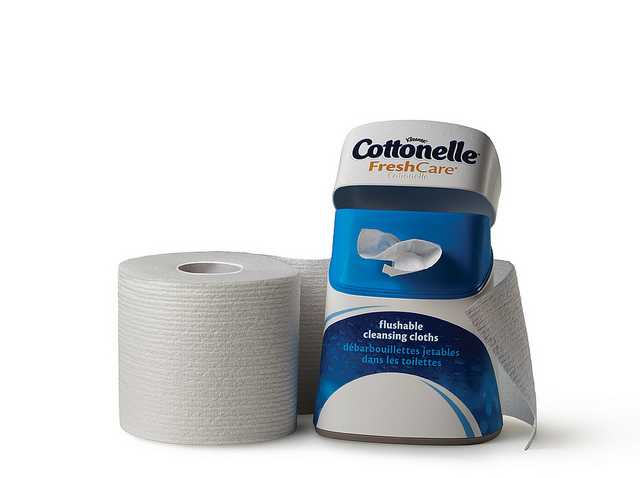 I absolutely love this new Cottonelle campaign - funny never heard of a "wrapper". Can't wait to find a coupon to try out these wipes. It's been a lot of fun, and enlightening to talk about bathroom behavior. I used to be a wrapper, but then I made the switchover to folder. It uses far less TP. Good luck on the coupon hunt. I was hearing on the radio not too long ago that some of these wipes are causing plumbing problems across America. I've heard chatter about this too Joann, but they are flushable. I think they aren't for use with septic systems, and only one wipe is recommended per flush. I think unflushable baby wipes are probably more to blame. I love the wipes now and am disappointed when I use a bathroom without them. Haha! I may have to look into these as I'm tired of using baby wipes to help the boys as i want to make sure they don't flush those... but maybe if they had this I wouldn't have to be on bathroom duty stand by!